The loquat is an ornamental plant native to China. It is a shrub or a small tree bearing yellow colored fruits. It is also known by the name May Apple, Japanese medlar and Japanese Plum. Loquat fruit and leaves have been consumed in China for thousands for years. The leaf is eaten raw or used to make a tea like herbal concoction. 1. It has the ability to suppress appetite. Naturally, it is a great companion if you are on your way to lose weight. 2. It has anti-oxidant properties- they fight the free radicals that are produced by the body and help in fighting signs of aging and neutralizing toxins in the body. This results in higher immunity and thereby increased life expectancy. 3. It is anti-inflammatory. It is used in many creams that fight histamine allergies and oedema. 4. It can regulate the insulin levels in the body. 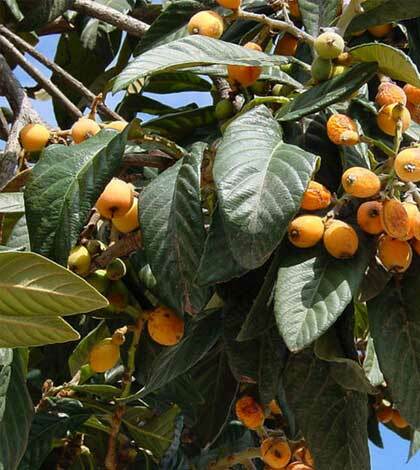 Loquat leaves help the pancreas in producing insulin and thereby help in preventing diabetes. 5. It helps the liver in detoxification. Loquat leaves are rich in Amygdalin which helps in preventing liver disorder and helps the liver when it detoxifies the body. 6. Loquat leaves have an anti-viral effect too. 7. It is also known to help cure skin cancer by being able to suppress the ability of skin cancer cells from multiplying. 8. It has been used to relieve congestion in the throat and the respiratory system. It is antitussive, as in, has the ability to suppress cough. 9. Loquat leaf concoction is commonly consumed since it is believed to give beautiful skin. 10. Loquat tea extract application to the hair roots is also said to promote hair growth. Loquat leaves have so many health benefits, that the tea made from these leaves has gained popularity among the health conscious. It is known as Biwa Cha and helps get all the health benefits of the loquat leaf. How to make the Loquat leaf tea? In a pan, boil 4 and 1/2 cups of water. Crush the loquat leaves and add about two teaspoons of the leaves to this water. Bring it to a boil. Then turn the heat down and maintain it on low flame for another ten minutes. This will ensure that all the juices from the leaves get into the water. Turn off the heat and strain. Serve it hot or cold. Add some honey if you like it sweet. All the goodness of the loquat leaves is present in the tea. 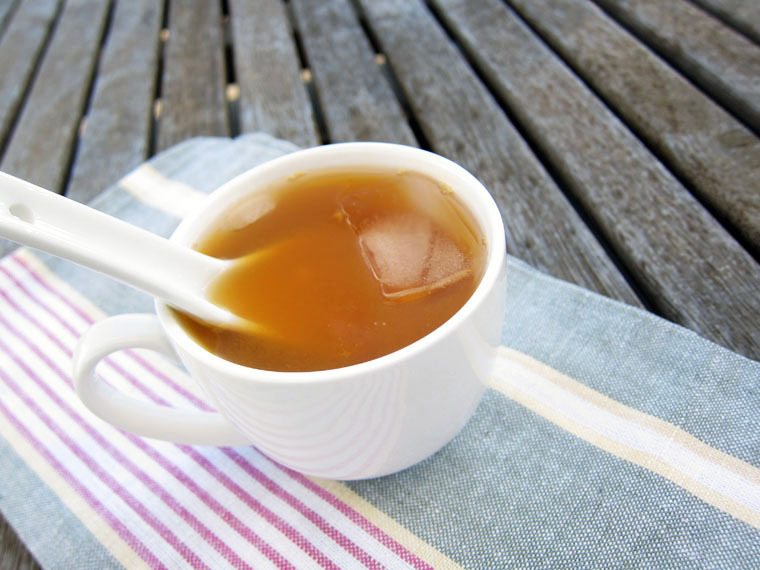 The tea also helps reduce the signs of nausea and quenches thirst. If you do not have access to the fresh leaves, you can buy loquat tea bags or powdered loquat leaves that are slowly making its presence in the supermarket counters. 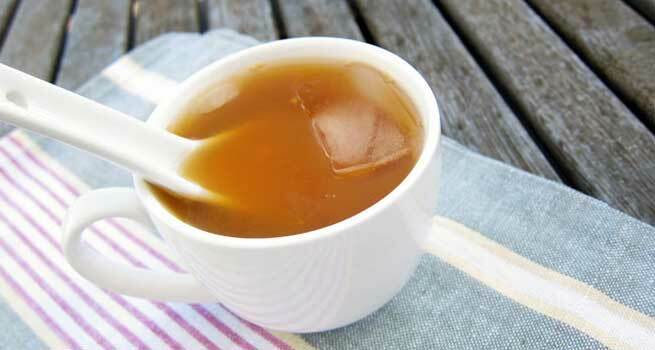 It is safe to consume loquat tea and it is not known to have any side effects.